As the decimated US Navy force limped away from Ironbottom Sound after dawn on 13 November 1942, the prospects for protecting the Marines on Guadalcanal and preventing the counter-landing of powerful Japanese reinforcements seemed distinctly unpromising. Four US destroyers, Laffey, Barton, Cushing, and Monssen, had been sunk, Barton with heavy loss of life. Light cruisers Atlanta and Juneau were badly damaged, both in danger of sinking, heavy cruiser San Francisco was a shambles. As was previously noted, the fight to save Atlanta was lost, and Juneau would fall victim to a Japanese submarine. But the Americans did hit back. During the daylight hours of 13 November, aircraft from Henderson Field, Espiritu Santo, and Enterprise finished off the crippled battleship Hiei, and sank the smoking hulks of destroyers Akitsuki and Yudachi. On 13 November, Yamamoto ordered Admiral Kondo to reconstitute a bombardment force, marrying 8th Cruiser Squadron under Admiral Mikawa with the remaining ships from Abe’s force, including battleship Kirishima. 8th Cruiser Squadron consisted of four powerful heavy cruisers, two light cruisers, and four destroyers. The force slipped into the waters off Henderson Field unchallenged in the waning hours of 13 November and commenced a bombardment of the airfield. The intent was to neutralize the airfield in order that the eleven transports, carrying supplies for Hyukatake’s starving ground forces and reinforcements from the 38th Division, could be unloaded. The results of the bombardment were ineffectual. The Japanese fired approximately 1,000 rounds in little more than half an hour, and damaged some aircraft, but the airfield and most of its planes remained fully operational. Not long after dawn, the Cactus Air Force, as well as aircraft from Enterprise and Espiritu Santo, pounced on the Japanese ships. They fell first upon the bombardment fleet, inflicting heavy damage to cruisers Chokai, Isuzu, Maya, and Kinugasa, the latter eventually sinking. Next were Tanaka’s transports. A series of attacks, including high-level B-17 sorties, sank seven of the eleven transports. While most of the Japanese troops were saved, all the weapons and equipment, food, fuel, and ammunition were lost. Instead of welcome reinforcements, those survivors became liabilities to an already badly broken supply system. Earlier in the day on 13 November, Vice Admiral Willis A. “Ching” Lee, with new radar-equipped fast battleships Washington and South Dakota and four destroyers, was ordered east to defend Guadalcanal. Named Task Force 64, Lee’s cobbled-together force entered Ironbottom Sound north and west of Cape Esperance, and picked up the Japanese ships on radar just before 2300 on 14 November. Shortly after, the Japanese force under Kondo spotted the Americans. However, Kondo believed he was facing cruisers rather than battleships, and he believed they would not be a match for Kirishima or his remaining heavy cruisers. Kondo split his force, around either side of Savo Island. Lee briefly engaged Sendai and several Japanese destroyers with radar-guided fire. The Japanese cruiser bid a hasty withdrawal. The cruiser Nagara and four destroyers actually sighted Lee’s force before they were reacquired by American radar. Nagara and her accompanying destroyers, plus Ayanami, engaged the four American destroyers with guns and torpedoes. Much like the results of the previous evening, the US destroyers lost heavily. In a very short time, Benham, Preston, and Walke were mortally wounded, Gwin heavily damaged. It was at this juncture that Kondo’s mistaken identity of the two US fast battleships spelled doom. Washington and South Dakota steamed on, closing with Kirishima, two heavy cruisers, and two destroyers. South Dakota, closest to the Japanese force, suffered a massive power failure which blinded her radars and knocked out her gun mounts. She was set upon by the Japanese destroyers and cruisers as she passed, impotent, within 5,000 yards of the enemy. As she had turned to avoid the burning American destroyers, she had been silhouetted against the flames, and became a target for every Japanese gun. The battleship was hit repeatedly topside, damaging her gunfire control systems, knocking out communications, and causing almost 100 casualties. However, unseen and unmolested by Japanese fire, Washington loomed in the darkness. Her secondary (5-inch/38) batteries pounded the destroyer Ayanami to a burning wreck within a few minutes. She had refrained from firing her main battery at her radar contact, because she had been unable to communicate with South Dakota to confirm her location. When South Dakota was engaged by Japanese guns, Washington had no doubt of her target. What followed was the first encounter between battleships in the Pacific War. It was a one-sided affair. At a range of just 8,900 yards, Washington commenced a radar-targeted engagement of Kirishima with her 16-inch main battery. In just over six minutes, Washington fired 75 16-inch projectiles, striking Kirishima between ten and twenty times, and plastering her with 5-inch fire. Kirishima was finished. Her topside was a wreck of twisted metal, her steering destroyed, and she had been holed below the waterline. Kirishima capsized and sank in the early hours of 15 November. Ayanami was abandoned and scuttled. The surviving Japanese transports reached Tassafaronga, but as soon as daylight broke, the four ships were taken under fire by aircraft from Henderson Field, the 5-inch guns of the 3rd Marine Defense Battalion, and an Army Coastal Artillery battery (155mm Long Toms). As with their sunken sisters, most of the Japanese soldiers managed to get ashore, but almost all of the supplies, food, ammunition, and equipment were lost. The naval actions in the skies and waters of Guadalcanal between 12 and 15 November 1942 were costly to both sides. The action was fierce, confused, and deadly. Losses of men and ships were nearly even. However, these battles were the turning point in the Solomons. Control of the waters around the island of Guadalcanal passed permanently to the United States Navy. There would be more bloody fights in those waters, and even stunning setbacks (Tassafaronga), but US naval and air power in the Solomons would continue to grow, while that of Japan would continue to wane. The Japanese would continue to attempt supply of its garrison ashore, to diminishing effects, but would never again send reinforcements down “the Slot” to wrest the island from the Marines. The First and Second Naval Battles for Guadalcanal represent the last running of the Tokyo Express. The bloody slugging match for the island of Guadalcanal and the surrounding seas reached its peak fury seventy-three years ago this week. Between November 13th and 15th, 1942, a pair of violent clashes in the waters north and east of the island marked a watershed in the eleven-month long Pacific War. Those clashes would come to be known as the First and Second Naval Battles of Guadalcanal. The stage was set for this far-flung, savage, running fight a week earlier, when US intelligence gleaned that the Japanese 17th Army was going to make one last, large attempt break the Marine perimeter to overrun Henderson Field. General Hyukatake, commanding 17th Army, had been arrogantly dismissive of the US Marines’ combat prowess, and entirely slipshod in his intelligence planning. The Japanese had tried three times to break the Marines’ lines, once in late-August (at the Ilu River), in mid-September (Edson’s Ridge), and again in late-October, which was the first serious thrust, directly at Lunga Point and the airfield. Each time, the Marines (and in October, joined by the Army’s 164th Infantry) held firm and slaughtered the Japanese in large numbers. Hyukatake had waited far too long. Had his efforts been strong during the almost two weeks in mid-August during which the Marines had neither Naval nor air protection, the predicament of the 1st Marine Division might have been extremely grim. Now, after grievous losses, Hyukatake was to be reinforced for one last major push. In light of the latest intelligence, Admiral Richmond K. Turner had taken Task Force 67, loaded with troops and supplies, toward the island. The transports of TF 67 unloaded under intermittent air attack from Bougainville, but managed without serious losses. The Japanese had pushed a bombardment force of two battleships, a cruiser, and eleven destroyers into the waters north of Guadalcanal with the mission of destroying the airfield and preventing the Cactus Air Force from interdicting the eleven transports packed with Japanese soldiers, supplies, food, and ammunition. The US Navy had two task groups protecting the transports, under Admirals Daniel Callaghan and Norman Scott. Those forces combined, along with remaining escorts from Turner’s transport group, to form a powerful group of two heavy and three light cruisers, and eight destroyers (under Callaghan, aboard San Francisco). The two forces sighted each other almost simultaneously, at approximately 0125 on 13 November. Admiral Callaghan, regrettably, had not employed any ship with the improved SG radar in his van, which meant that the Japanese, even in the poor visibility of the night, negated his technical advantage with their superior night combat skills. The confused melee began at extremely close ranges, and was filled with confusing orders, hesitation, and ferocity. The IJN battleship Hiei was badly mauled by dozens of 5-inch hits on her bridge and superstructure, pummeled by US destroyers that were so close that Hiei’s 14-inch guns could not depress to engage them. She suffered at least three 8-inch hits, likely from San Francisco, her steering gear was shot away, and she was a shambles topside. Hiei and sister Kirishima managed to exacted revenge on Atlanta and San Francisco, landing large caliber (14-inch) hits on both. The riddled Atlanta drifted across San Francisco’s line of fire, and was almost certainly struck by the latter’s main battery, adding to the carnage on board. When the action finished less than an hour later, four US destroyers had been sunk, Altanta was a wreck, Juneau and Portland had taken torpedoes, and San Francisco had been savaged, leaving her with only one 8-inch mount in action. Both American admirals, Norman Scott aboard Atlanta, and Daniel Callaghan on San Francisco, had been killed. Admiral Abe, the Japanese commander flying his flag on Hiei, had been wounded. The Japanese attempted to take Hiei in tow, but US air attacks from Guadalcanal and Espiritu Santo further damaged the battleship, and she sank in the late evening of 13 November off Savo Island. Similarly, efforts throughout the day to save Atlanta were unsuccessful, and just after 2000 on 13 November, the cruiser was scuttled on the orders of her captain. Juneau, down fifteen feet by the bows and listing from her torpedo wounds, was proceeding to Espiritu Santo at 13 knots when she was struck by a torpedo from the Japanese submarine I-26. Her magazine exploded, breaking her in two. Witnesses say Juneau disappeared in twenty seconds. Fearing the submarine threat and believing very few could have survived the explosion, the senior surviving American Officer (Captain Hoover, aboard Helena) made the agonizing decision to leave the survivors for later rescue. About one hundred men had survived the sinking, but after eight days in the water, only ten were rescued. The rest perished from exhaustion, wounds, or sharks, including the five Sullivan brothers. Aside from the eventual loss of Hiei, the Japanese lost two destroyers sunk, and four damaged. 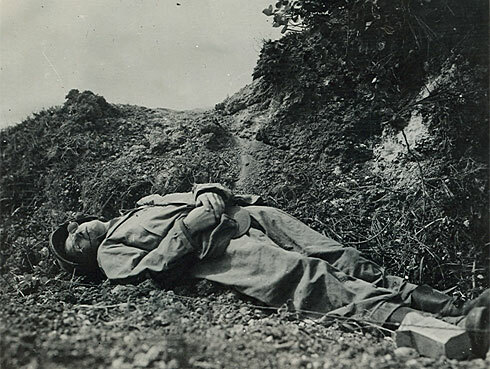 Japanese killed had numbered around 700, about half the total of Americans killed in the action. With little in front of him, Abe might have sailed in to bombard Henderson Field at his leisure, but instead he withdrew. With his withdrawal, Abe had turned a potentially serious tactical reverse into a strategic victory for the US Navy and Marine Corps. Yamamoto, who had planned the operation, was forced to postpone the landings. Furious, Yamamoto fired Abe, and ordered a new bombardment force under Vice Admiral Kondo to neutralize the airfield the next day, 14 November. So ended the First Naval Battle of Guadalcanal, the first act of the tense drama, setting the stage for the second. Sad news on the sports legends front this morning. Hall of Fame catcher Yogi Berra has passed away at age 90. One of the greatest catchers of all time, Berra was a 15-time all-star in 19 seasons, a three-time American League MVP who was the heart and soul of some of the great Yankees teams of the 50s. Lawrence Peter Berra was born on May 12th, 1925, in St Louis, MO. He was a childhood friend and teammate of fellow catcher Joe Garagiola, who thought that the homely Berra looked strikingly like the Maharishi Yogi pictured in a newsreel story that played between movies during one Saturday Matinee. And the most recognizable nickname in sport was born. Short and stocky, five-foot seven and almost 190 pounds, his frame belied a grace and athleticism rare in a catcher. His physical strength was legendary, as was his ability to avoid striking out. In 1950, a year in which he hit 28 home runs and batted .322, Berra struck out only twelve times in 636 plate appearances, an astoundingly low figure. (In comparison, one 2015 Red Sox hitter, Mike Napoli, struck out twelve times in a three game series on two separate occasions.) Berra got his teams to the World Series a mind-boggling fourteen times in his 19 seasons, winning ten World Series rings. After his playing career, Berra was a manager and coach for many years, finally retiring in the early 1990s. Of course, Berra was known to many outside baseball as the author of an seemingly endless list of funny sayings, such as “it gets late early out there”, and “It ain’t over til it’s over”. Once asked by Joe DiMaggio what time it was, Berra supposedly replied “Do ya mean right now?” That persona belied a man of shrewd baseball knowledge, and on teams with DiMaggio, Mantle, Whitey Ford, Billy Martin, and Elston Howard, Berra was considered the most baseball savvy. He was also a talented outfielder, playing left field when Howard began his catching career. Like so many ballplayers of his generation, Yogi Berra served his country in World War II, a Gunner’s Mate in the US Navy who manned a rocket-firing landing craft off the Normandy beaches on D-Day. Berra remained very proud of his Navy service, and spoke often of it in his later years. Yogi was also, by all accounts, a genuine and kind gentleman. He was known for treating everyone well, and for his humility and his humor. His is a loss, he was one of the greats of our national pastime, and an American icon. Today marks the 65th anniversary of the beginning of the Korean War. Most of us here know that the war itself has not ended, that the DPRK and the ROK remain in a state of war, temporarily becalmed by an armistice signed in July of 1953. The war was fought by Veterans of World War II, as well as their little brothers. There were more than 36,000 US killed in action among the more than 130,000 American casualties in that war, many times the order of magnitude of Iraq and Afghanistan combined. In just over three years. There are lessons aplenty from that war regarding preparedness, combat training, leadership, and budget-driven assumptions. Two Martin Russ works, The Last Parallel, and Breakout. There are many, many others, including some incredibly good Army monographs, but those are among my favorites. I lent out Marshall’s book some years ago (you know who you are!!) and never got it back. So that may be my next purchase. Anyway, the first test of the Strategy of Containment began in the early hours, sixty-five years ago this morning. An official flagging ceremony to rename Marine special operations battalions in honor of their World War II predecessors is set to take place June 19, MARSOC officials confirmed. The ceremony comes 10 months after the command first announced its plan to change the names of Marine Corps Forces Special Operations Command’s component units to reflect their history. The formal renaming was held up while Headquarters Marine Corps approved a bulletin announcing the upcoming change, said Capt. Barry Morris, a MARSOC spokesman. He said MARSOC’s headquarters in Sneads Ferry, North Carolina, also had to coordinate with its major subordinate elements to determine a date for the ceremony. The Corps does a lot of goofy sh*t sometimes, but we do cherish our traditions. Love the skull patch, too. It will remind people that the job of the Raiders, and the USMC writ large, is to kill. Destroy the enemy. Growing up in a Naval Aviation family, it was a given that I would know the major exploits of the Fast Carrier Task Force that formed the heart of the US Navy’s striking power in the Pacific. Operating alternately as TF 38 when under Halsey’s 3rd Fleet and TF 58 when under Spruance’s 5th Fleet, the FCTF roamed the Central and Western Pacific, at sea for weeks at a time, supporting various invasions, striking territory the Japanese had seized, and even raiding the home islands of Japan. The FCTF was the powerhouse of the Pacific, making that ocean an American pond for 70 years. Every other part of the United States Navy, from the submarine service, to the stupendous fleet train, to the Seabees to the amphibious shipping and indeed, the entire US Marine Corps, served simply to better enable the Big Blue to rule the mighty Pacific as a wholly American territory. Of course, the US Navy wasn’t alone in those waters. Britain, with its many colonial outposts, maintained a significant fleet presence in the Pacific. Sadly, the opening months of the war saw them more soundly defeated by Japan than even our own fleet. Eventually, the Royal Navy would retreat to Trincomalee, Ceylon. The bulk of the Royal Navy’s fighting strength would be devoted to operations in the North Atlantic and in the Mediterranean Sea. However, by early 1944, the situation in those waters was sufficiently in hand that Britain felt it could spare ships and planes for the Pacific. The Chief of Naval Operations, Ernie King, was not exactly an Anglophile, and was not enthusiastic about the Royal Navy returning to the Western Pacific. In this, he was overruled by FDR. Of course, it was more than mere politics that gave the US Navy pause about a Royal Navy fleet in the Pacific. The RN mostly operated close to its bases in comparatively close waters. Their ships had less endurance, and even less space for food stores. Furthermore, they had little experience in replenishment underway. Worst of all, they had virtually none of the fleet train of ships that the US Navy relied upon to allow the Fast Carrier Task Force to stay at sea for weeks. Any significant RN participation would almost certainly have to receive at least some support from the US Navy. The RN did amass a sizeable fleet train to support its operations (though they also received quite a bit of help from the USN) and soon amassed a significant fleet of carriers, battleships, cruisers, destroyers and other combatants. When operating with the US Navy, the British Pacific Fleet (BPF) was under the US command structure, and designated either TF 37 or Task Force 57, depending on whether it was with 3rd or 5th Fleet. The most significant operations of the BPF were in support of the US invasion of Okinawa, where the BPF conducted raids on Japanese airfields to suppress kamikaze attacks. Of course, that invited kamikaze attacks upon themselves. Unlike US carriers that had wooden flight decks, British carriers had steel flight decks. Generally, a kamikaze hit on them resulted in far less damage. While some British carriers operated British designed planes such as the Seafire and the Barracuda, many operated US built planes, including the Corsair, the Avenger, and the Hellcat. No audio, but still an interesting look at British carrier operations in 1944. A US propaganda film showing the various numbered air forces of the USAAF in early 1944. Lots of good footage of some of the more obscure theaters. It’s about 40 minutes, so grab a cup of coffee. Can you imagine an NCO meeting a Colonel, let alone a five star general, shirtless and greasy today? There’s very much a place for spit and polish in the service. But there’s also very much a time for senior officers to see past the dog and pony shows and see what the actual conditions are. I have a knack for finding interesting militarily historical artifacts and after reviewing my purchases at the second annual Pritzker Military Museum and Library booksale, this is a lesson I keep having to relearn. I had that feeling I should purchase that copy of Fahey’s “The Ships and Aircraft of the U.S. Fleet“, in this instance, available there as a 5 volume set, which already having a tendency to listen to feeling, I purchased. Hesitation caused by the uncertainty as to whether a vessel is friend or foe may lose for the aviator his opportunity to attack, and for the naval officer may result in the loss of a ship or failure to discharge a mission or destroy an enemy vessel. Heady and still very relevant stuff especially for those currently deployed.